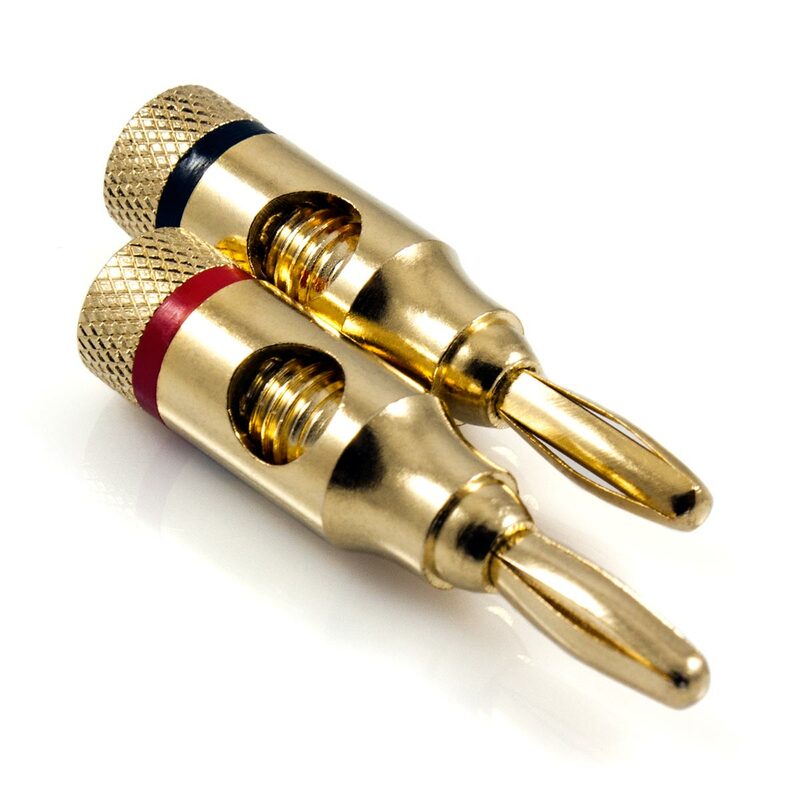 These HyperLock™ Banana Plugs have been produced with the highest standard of workmanship to provide a design masterpiece that is not only versatile, but one that will provide flawless audio performance. 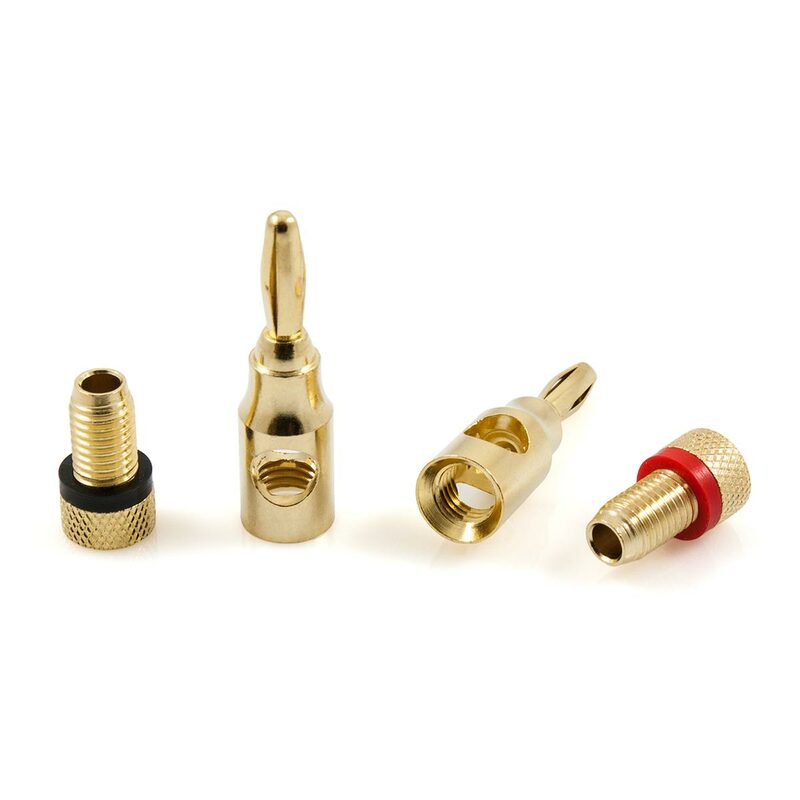 These compact plugs will ensure that your speaker cable is terminated with an immaculate finish. The solderless design means that installation can be completed in record time without the assistance of tools. 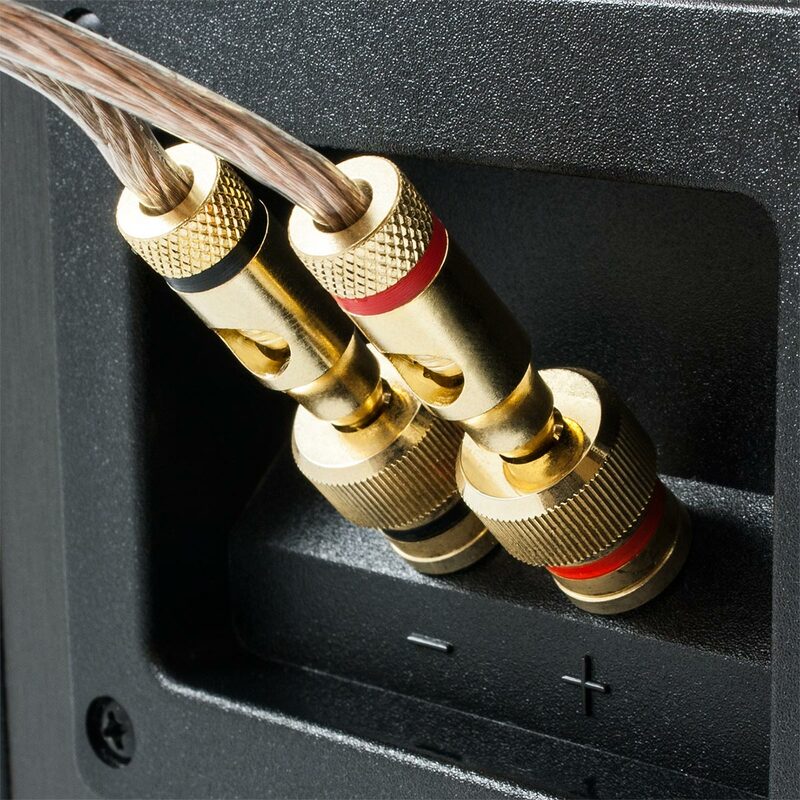 The unique clamp design will lock the cable securely, which in turn will ensure that the cable will not fray. 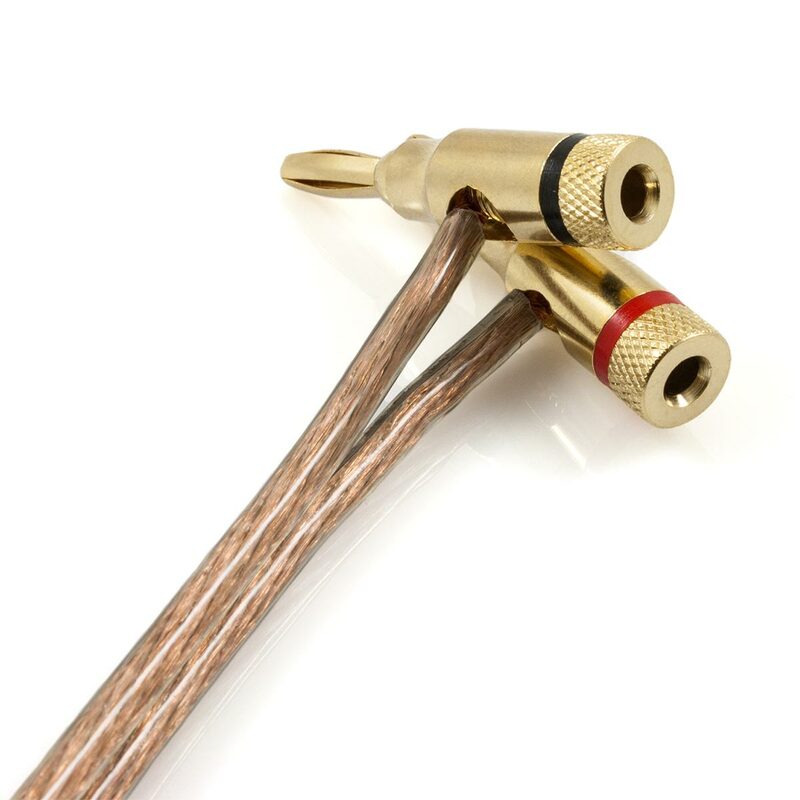 This works by inserting the wire into the rear (for up to 12 AWG) or the side section (for up to 8 AWG) and with a twisting action the speaker cable is clamped firmly in place within the Banana Plug. The 24k gold plating will provide a protective barrier which will guarantee perfect performance for many years to come. Superb high quality product, perfect service, and fantastic value! Great to have two positions for cable routing, very convenient that no screwdriver required. Easiest to wire banana plug ever!